The air leak check is a piece of equipment needed at an Automotive supplier to support their production needs. We were brought in to evaluate the equipment and discovered the PLC and HMI were both not only obsolete they were unable to be purchased from anywhere. with no drawings and an old print out of the programming. using the program as a bases new prints have been created along with a conversion of the program into a new PLC and HMI. Waiting for an installation date. Remodeling of 46,672 SF of existing space and a 19,182 SF addition to an existing one story elementary school in Ames Iowa. Project included a complete renovation of the electrical distribution sytem, lighting, Communications, Classroom Audio Visual, Access Control, Intrusion Detection and Fire Alarm. 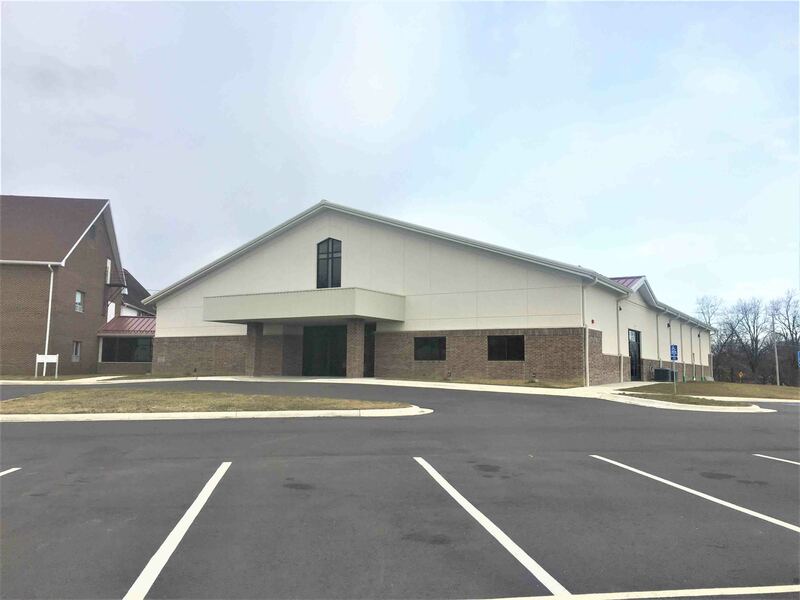 New Community Recreation Center consisting of 36,000 SF of new construction, site improvements and existing building renovations for the City of Fairfield Iowa. Community Recreation Center addition included 3 full-size basketball courts, indoor track and fitness areas. Upsized existing 600 Amp electrical service to 1600 Amps, installed new lighting, lighting controls, Communications and Fire Alarm system. Projects included three, four and five door motor control centers built to engineered spec and to UL spec. We were called in to evaluate a process that was not operating properly, this system conveyed fiber material from a rework machine to automatically re-inject the material back into production or to a storage system for later us. Within minutes we discovered the point of failure was the main blower drive was not taking commands from the PLC causing blockages in the tube. Further diagnosis reviled scorch marks on the main comms board for the drive. The drive is to be replaced. This system to take a reground product and convey it to and area depending on demand. We were brought in to develop the control system and electrical package to convey product from three different regrind locations into either a central hopper or into any of three different production lines. We interlocked the grind stations to allow product to flow based on need. Automatically the system looks at material levels and delivers that product to is needed location. We designed and build all electrical systems and built all control panels, preformed all field installs, started up, tested, and debugged the system. Trained production personal on the operation of the system. This station is a new machine. It is designed to inspect a 1 gallon food can for out of round if the can is out of round reject it. This system to keep it a small and simple as posable, as well as a cost saver, it was determined to utilize the vision controller as the intelligence This system is currently in production. The Glue Press is a machine that when glue is applied to one part of a product and a second part is placed onto the first. Then the press is triggered pressing the parts together until the glue sets. This machine was a manual operation and for production needs it was converted to a semi-automatic operation. 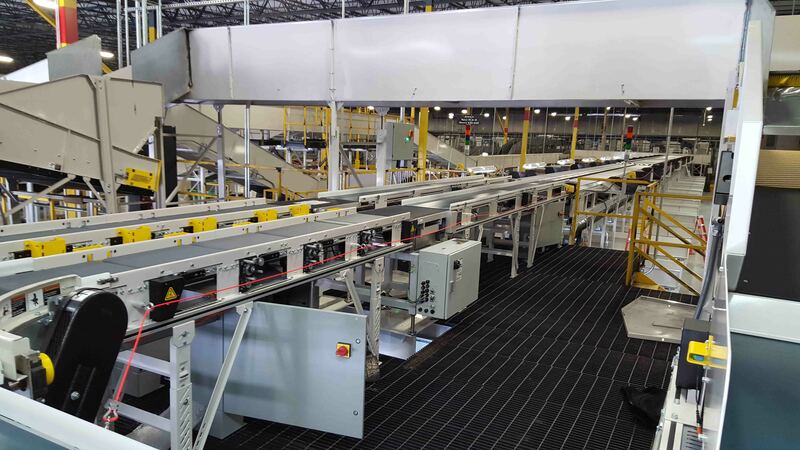 The PLC was added too, field devices were added, robotic glue dispensers were added, this allowed the operator to load and unload parts only and the entire cell to operate faster and more accurately. We were bought into this project because that original integrator could not complete the project. So worked with the material that was provided to us. Build the electrical panels and systems as they were provided then trouble shot the equipment determined the problem with the provided material, spec’d replacement material to get the machine working. preformed a Factory Acceptance Test(FAT) in our facility. One it was accepted shipped the machine to its final destination. Complete renovation of weapons storage area security system. 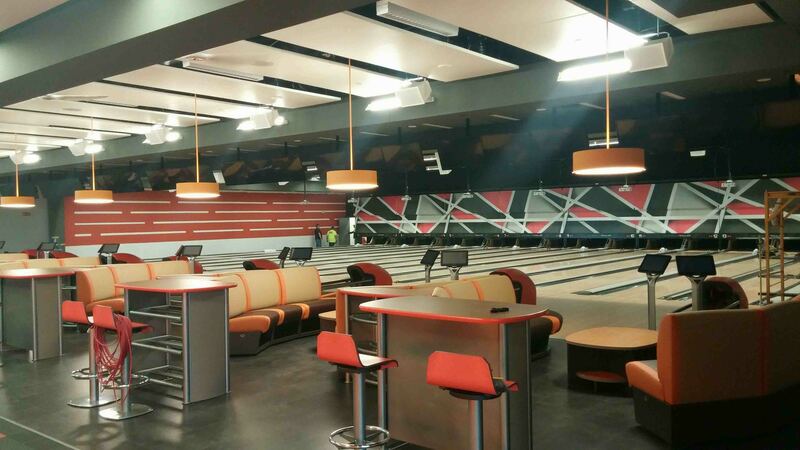 Our scope included the installation of all underground raceways, fiber optic cable and power circuitry. All excavation and directional boring was handled in house. Encompassed over 70 miles of fiber optic cable and 3000 fiber terminations. This project was to integrate 14 new safety sensors into an existing machines safety circuit keeping the same level of safety along with an integrated indication of any tripped safety devices. We were asked to complete this project without any background information on the machine this was to attach to design something that was easy for a third party to install without any involvement from us. It was a fun little design build. Project included electrical installation of all raceways, wireways and motor and control circuitry for two sorters, ship lines and two three level pick modules. The Twin Pack line is to attach two packages of product together with a handle and deliver this bundle to a hand pack station. Then convey a packaged case to an auto palletizer from two different lines. We were brought in as the automation and electrical team member. We developed the controls package for the conveyors from the end of the production line to an existing palletizer line. Built the electrical control panels, field installed the all electrical hardware, and programed not only our portion, but interfaced into 7 different pieces of equipment per line. These were to handle all of the interlocks, allowing for a single push to start for the entire packaging area including all of the addition equipment. We incorporated a staged shutdown in the event there was a problem. At the end of the project, product was to be oriented, brought together, indexed into the handle and grouping applicator, presented to a hand case pack station, the cases were to be quality checked and conveyed to the palletizer station. A 5435 SF addition to the Van Meter Elementary School in Van Meter, Iowa. Electrical installation included a new 400 Amp feeder to the new addition, new lighting, and extensions of the existing Fire Alarm, Paging and Communication Systems. Renovation of the Van Buren High School and Middle School located in Keosauqua, Iowa. Replaced existing 1200 Amp electrical service with new 2000 Amp electrical service. Electrical system renovation in 40,000 SF area with new panels, lighting and Fire Alarm systems. 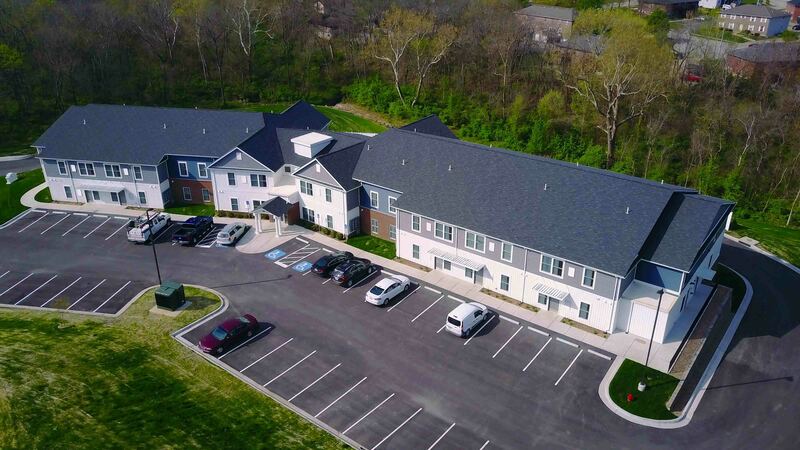 The Warrensburg Pathways office building was a new construction project of approximately 15,400 sq. ft. of office space. We used precise underground rough in to run a very efficient job that resulted in delivering a beautiful building to the customer on time.